Arizona offers some exceptional cities and towns. Depending on what you’re looking for, there really is something for just about anybody in our beautiful state. Scottsdale and Tuscon are among the most popular of cities in Arizona, but as evenly debated as they often are when people are looking for a new place to call home, the towns themselves are quite different. Tucson luxury real estate is an exceptional option for homeowners who want to live in an area that offers an overall well-rounded experience, while Scottsdale’s popularity often makes it a front-runner in discussions involving relocation. In the state of Arizona, the median home price is $200,300, which has increased 6.8% over the past year and is projected to continue to increase an additional 3.5% over the coming twelve months. The cities of Tucson and Scottsdale’s median home prices fall on either side of the state’s mid-point according to Zillow. Mortgage delinquency across the state is lower than the national average, which is currently at 4.8%, and both cities are well below this number, as well. Overall, Scottsdale’s established market has begun to plateau, while Tucson is till projected to experience positive growth over the coming year. The overall health of the luxury real estate market between Scottsdale and Tucson is strong. When comparing four-bedroom homes to those with five bedrooms or more, the larger homes offer much greater market opportunity. According to Zillow, Tucson’s median sale price for homes with five or more bedrooms exceeds the Zillow Home Value Index in this region. With a projected increase in home value over the coming twelve months, large homes in the Tucson area should be considered as viable, and likely prudent, investments. Each city has excellent attributes. Here’s a snapshot of other facts you might consider as you search for the best city for your family. 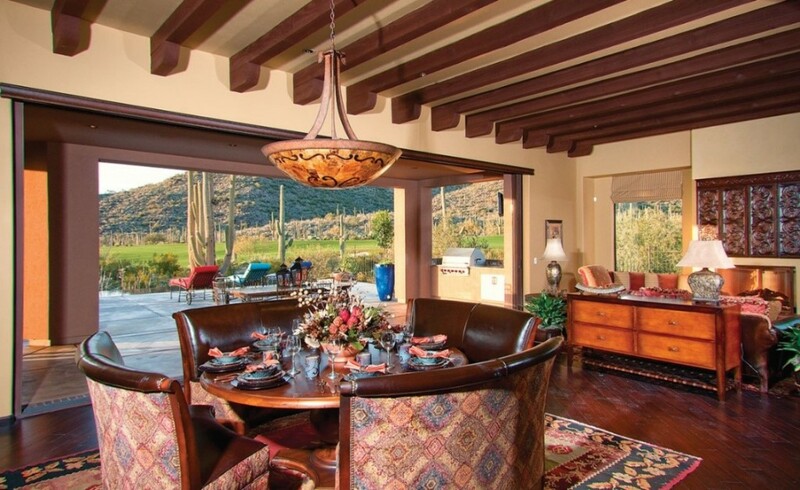 Tucson luxury real estate offers the best in Southwestern living. To learn more, contact a member of our team today or visit www.theresidencesdovemountain.com.